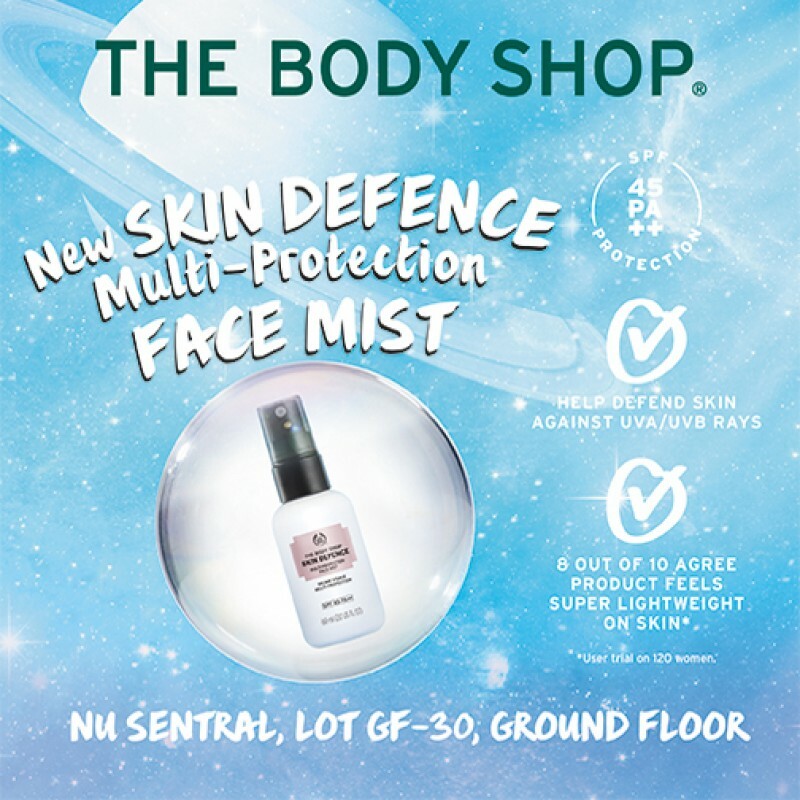 The Body Shop has launched their new make-up friendly Skin Defence Multi-Protection Face Mist SPF45 PA++. Unlike heavy skin protection, this formula is a super lightweight, cloud-like mist that helps to deliver UVA/UVB protection. , it fits inside your handbag, gym bag or backpack so you can help keep your skin protected on-the-go and for those spontaneous, everyday adventures!